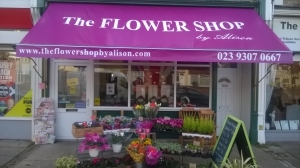 Hi i'm Alison Creamer, the owner of The Flower Shop by Alison. Me and my team have over 25 years of experience in floristry. 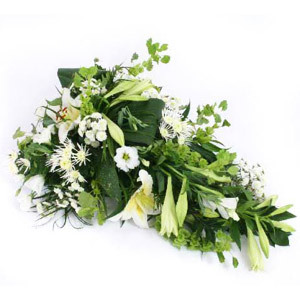 We work with some major hotels in the area supplying wedding flowers in their function rooms, and work very closely with the Searson family funeral service who are a independent like myself. 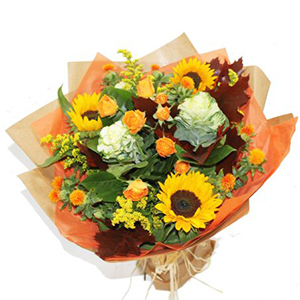 We pride ourselves on good quality flowers and designs and, I believe that we are a very knowledgeable and friendly florist, that can help you choose the right flowers for each and every occasion. From traditional to modern my team can do it all. I am proud to say that i love my job and enjoy making arrangements everyday for customers. Super arrangement. My mother loved the flowers. I appreciated the photograph of the arrangement. 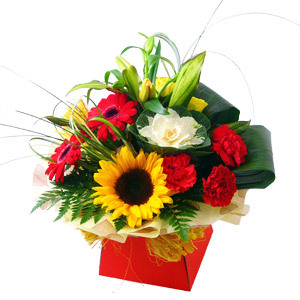 Really easy ordering service, prompt delivery and the flowers are beautiful. Excellent service...highly recommend. Great service . On time ..
Beautiful flowers and great service, recipient delighted! Many thanks. Brilliant service, proposal accepted, job done. Even rang to confirm correct delivery. Extra mile. Much appreciated. Lovely job, well worth the money!! just as requested, thank you! Thank you so much! I was sending flowers from Canada to England, and I had the incorrect address, but you were able to contact my friend and get the flowers to him. The arrangement was lovely, and the price was reasonable. I would highly recommend using this service, and if I have a need, I will use them again! Beautiful arrangement my wife was delighted! I am told the flower arrangement is divine. Thank you! Very pleased with the prompt service &amp; impressed with the picture showing the flowers, a great idea! Thank you very much! 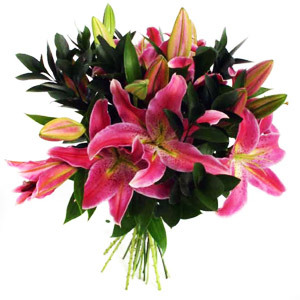 The recipient described her flowers as &quot;beautiful&quot; and the colours pink in the bouquet <br/>lifted her mood as she had just returned from her mother`s funeral. Quick, Efficient and Lovely Flowers. Really impressed and will definitely use again! Good service and communication. Lovely floral arrangement. Wife said the flowers were exceptional. I didn't get to see them. Beautiful flowers and value for money. The flowers looked like they were a few days old, already starting to look dishevelled and for the &pound;50 I paid for them I wasn't impressed. As they were for my Granddaughter I have not seen them, from the photo they look lovely. She said they were beautiful and smelled great. So Thank you and defiantly get 5 stars.. Mrs Grace Jordan. Excellent service . Beautiful flowers would highly recommend. Lovely arrangement, great shop - one I always recommend to my own customers in the area. Thank you. The flowers were beautiful, thank you so much and sending a photograph of them was a really nice touch. Thanks again. Beautiful flowers for my uncle's funeral. Very pleased and would recommended this florist to anyone. Everything went so smoothly, thankyou. The flowers were lovely and delivered on time. It eased my difficult time knowing I could rely on your service. I will happily recommend you to others. Easy to use site, exceptional service and quality. Would highly recommend. 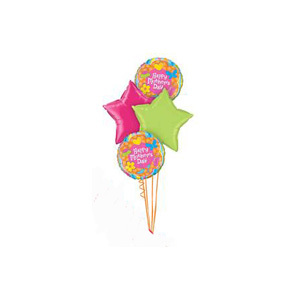 Good service, delivered well within the required delivery time. Nice bouquet and fulfilled all special requests. <br/> <br/>Last time they sent me a photo of the bouquet which was a great idea, didn&rsquo;t get one this time though. 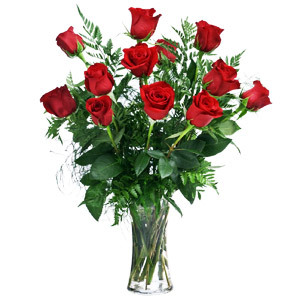 I have never encountered such an easy transaction and fabulous service, thank you so much the flowers are beautiful. Thanks for the photos and the email notification that the flowers had been delivered. My Mum was delighted with them. The flowers are stunning and Mum was so so blessed by them! Thank you! The flowers were fresh and exactly like the description says. Very efficient delivery service. Thank you for sending such lovely flowers at short notice. Our colleague was delighted. Will definitely recommend and use again. the first time I've ordered flowers for someone and I didn't know what time they would be delivered as I ordered online. <br/>I phoned the shop and asked a time... the lady completely went out of her way to make them up and deliver them herself before my partner went out. Couldn't thank them enough and the flowers are beautiful. Will always use these guys from now on. Lovely flowers and arrived when requested. Flowers were lovely definitely use flowers by Alison again thank you ???? I sent flowers to a friend in the UK from the States. She just phoned and said they were beautiful. Thank you for the ease in which I ordered, the reliable service and apparently lovely arrangement! These lovely flowers were very gratefully received by the new parents. Delighted recipient of the flowers. Thank you! Fantastic company, will be using again. Was fast service and beautiful quality flowers. The flowers look beautiful thank you, it is lovely to see a photo. I was a member of D2F member for many years when I owned a flower shop and it is nice to carry on using creative independent florists. Beautiful flowers, very happy with them. Thankyou! These flowers arrived on the day I ordered and the person who received them said they were absolutely beautiful and they even ordered the funeral flowers through this florist as they were so impressed with the flowers delivered! Thank you so much for putting a smile on my friends face when she needed it so much! Thank you so much for the lovely flowers that were sent to my husbands mum on her 60th. They were stunningly beautiful. You really made her day. I would highly recommend especially since we live in New Zealand. Thanks again. Flowers arrived on time and were well received by the recipient. Will definately use again. The other half was thrilled to bits with her flowers, the bouquet was beyond expectations. Wonderful - very happy with the service and tribute. Thank you! The bouquet you delivered for my mums birthday is beautiful,and arrived when I requested.Thankyou.